We’re looking for an enthusiastic and outgoing person to join our busy team here in York. A full-time role working alongside the company Directors to strategically grow new partnerships, relationships and business opportunities. Working in a small team, you will be hands-on, happy to deal with end-to-end business development, while also generating new business leads and evolving existing relationships. This newly created position would suit someone with experience in sales, marketing and business development. We’re looking for a maintenance/handy person who will be responsible for minor maintenance, clearing and tidying up within the workshop and general duties. The work will involve some heavy lifting therefore applicants must be fit. Hourly rate is above minimum & living wage. The company offer four weeks paid holiday per year, plus statutory holidays. The position is permanent, subject to a probationary period of three months. Harrisons Signs has been a quality Sign provider for over 100 years. 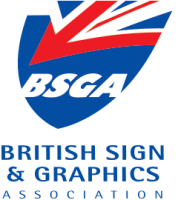 Based in York, we work across the UK in all types of Sign and Display items. We are looking for an experienced fabricator/ installer to join our team. The ideal candidate will be experienced in working with a variety of Sign materials and application of vinyls. He or she must have the aptitude to meet the most demanding customer specifications with professionalism and skill. This is a permanent position, with excellent rates of pay; 20 days plus Bank Holidays; and Pension Scheme. The basic hours are 39.5 per week. Paid overtime when available. We have a professional and friendly working environment within the small and happy team. There are excellent prospects.